Above: notes by Chris Long along with a letter addressed to the National Library of Australia, held in the Australian Photographers’ Files for Tasmanian photographer Thomas J, Nevin [Nevin, T. J. : photography related ephemera material collected by the National Library of Australia]. This letter is dated 3rd December 1982. 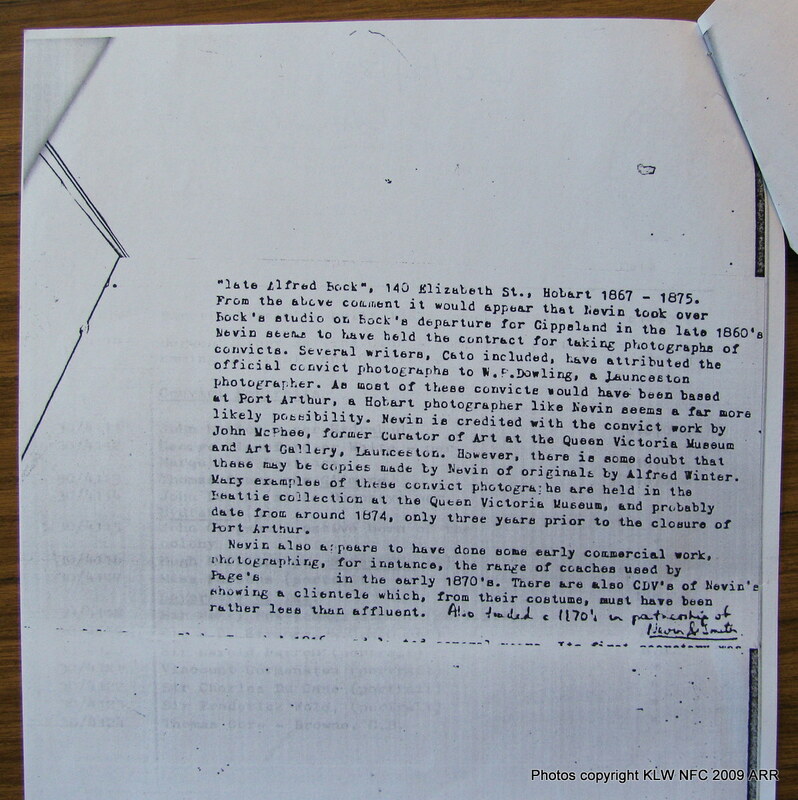 Chris Long’s notes are vague about Nevin’s photographic portraits of convicts despite correct attribution by McPhee, Stilwell, Kerr et al for the QVMAG exhibition in Nevin’s name in 1977. Long makes no mention or suggestion in these notes that the Commandant of the Port Arthur prison A. H. Boyd was in anyway associated with the taking of convicts’ photographs, but by 1983, Boyd’s rather pretentious descendants decided that they wanted their ancestor to be accredited as THE photographer of “Port Arthur convicts” – as an “artist” – and not the corrupt bully who was reviled in the press of the day. With nothing more than hearsay and rumour, one year later, Long revised Nevin’s attribution to accredit Boyd instead. A. H. Boyd was not a photographer in any sense of the term, and no extant works by him have been found to substantiate his descendants’ whims and fantasies. Chris Long’s notes from that year, 1982, which were retained by the Archives Office of Tasmania, revealed a subjective dislike of Thomas J. Nevin merely because his other photographs – according to Long’s taste – showed poorly dressed customers: “a clientele which, from their costume, must have been rather than less than affluent” he notes (attached to letter dated 3 December, 1982 from the Archives Office of Tasmania to the NLA, ephemera file). This idle, nonsensical comment which shows no understanding that Nevin photographed officials and employees of the colonial government’s Municipal Police Office as well as prisoners in the foul environment of gaols is further compounded by the suggestion in these notes and later in the publication Tasmanian Photographers 1840-1940 (TMAG, 1995:36) that Nevin printed copies of the originals by another photographer. No reason is given for this comment, and no evidence is cited. This and other non-sequiturs were part and parcel of the subtext of Chris Long’s fudging with the attribution to the government contractor T. J. Nevin. In the same notes he dismissed two authorities – Jack Cato and his suggestion of W.P. Dowling as the official photographer (of what, exactly?) – and Nevin’s curator of the 1977 QVMAG exhibition John McPhee – for no other reason than to challenge established and authoritative opinion (McPhee, Kerr, Stilwell et al). He made mention of another photographer, Alfred Winter, again for no reason. Neither Dowling nor Winter had any connection with prison photography, in any event. 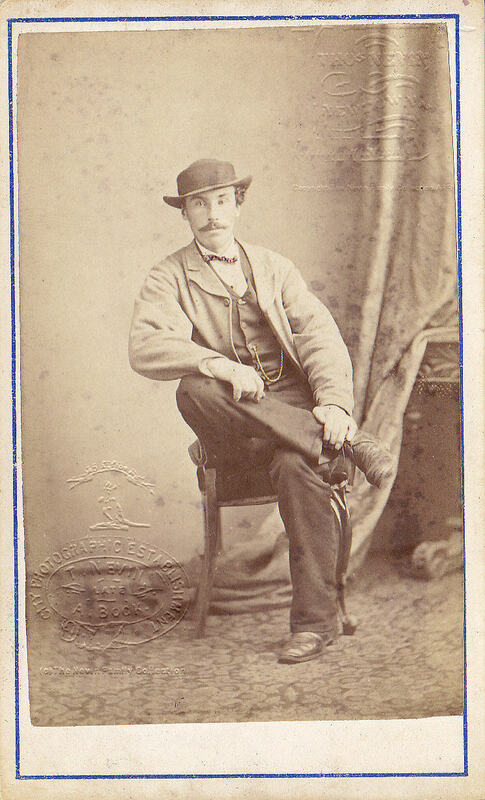 Dowling was a Launceston-based photographer by the 1870s, and none of the extant prisoners’ photographs were taken in Launceston for this reason: the prisoners appearing in these photographs were all sentenced to terms longer than three months, and for sentences longer than three months, the prisoner was transferred from Launceston and other regions to the central Hobart Gaol in Campbells St. where he was photographed by the Nevin brothers on being “received”. Source: Cyclopedia of Tasmania 1898, p.131. Alfred Winter was a commercial photographer and a copyist of earlier photographers’ works. None of his studio stamps or advertisements carried the government contractor insignia similar to the official stamp of Nevin’s on the verso of convicts’ photographs. 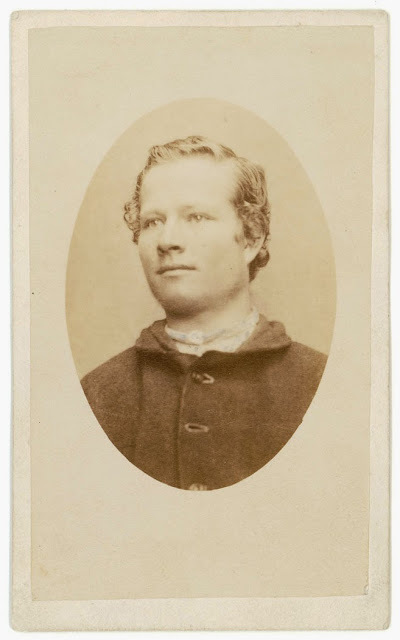 Winter was contracted to the Lands and Survey Dept in the late 1870s, and enjoyed the patronage of the governor, as his later studio stamps proclaim, but he was not involved in prison photography. Alfred Winter advertisement The Mercury 17th January 1876. In the years since, the name of Alfred Winter has vanished from any association Chris Long may have wanted to make with the “Port Arthur convicts” photographs, and in Winter’s place has appeared the name of the Commandant of Port Arthur, Adolarious H. Boyd as the “author” (Tasmanian Photographers 1840-1940: A Directory, 1995:36). Based on nothing more than lists of cargo of photographic equipment to and from Port Arthur in 1873-74, a rumour spread by Boyd;s descendants in 1983, and a reminiscence by a Boyd descendant in the 1930s of cameras at the Government Cottage at Port Arthur (when? 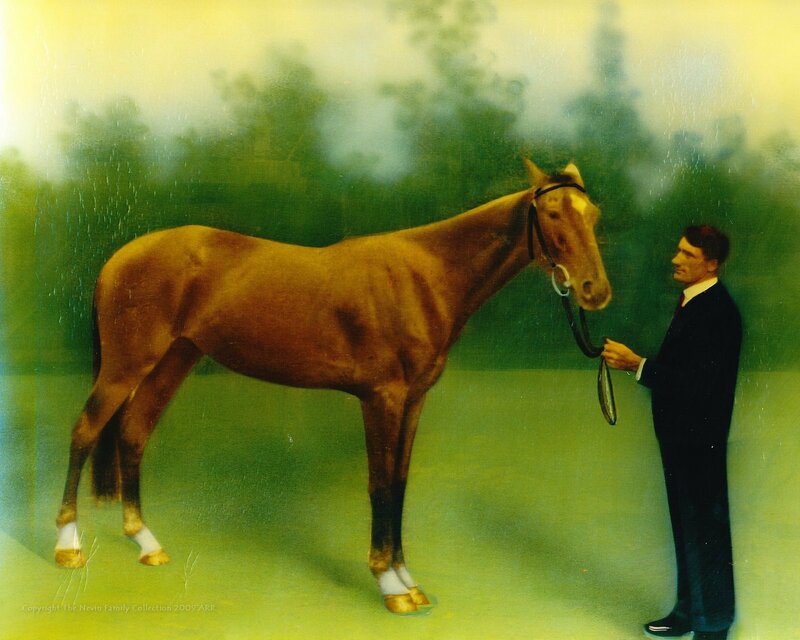 probably the late 1880s), the fuss Chris Long made – to draw attention to his rising star – has taken hold of gullible minds and captive audiences who put their “faith” in belief and not fact. The infatuation with A.H. Boyd has everything to do with the restoration in “authentic” detail of the Commandant’s Cottage at the Port Arthur Historic Site and with the self-promotion of the site’s “interpretation” personnel (e.g. Julia Clark), but nothing to do with the historiography of these prisoner photographs. 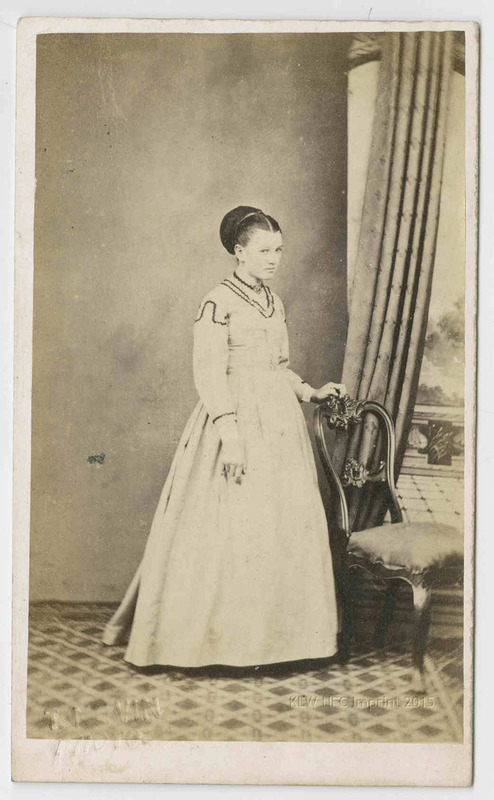 The State Library of Tasmania holds a large collection of photographs taken by Thomas Nevin’s partner, Samuel Clifford, at the Commandant’s Cottage in 1873 when that cargo of plates and photographic materials were shipped from Clifford’s studio in Hobart for the purpose of recording visits by intercolonial officials to Port Arthur and the sorry state of the penitentiary buildings, a fact which Chris Long and others have chosen to ignore. 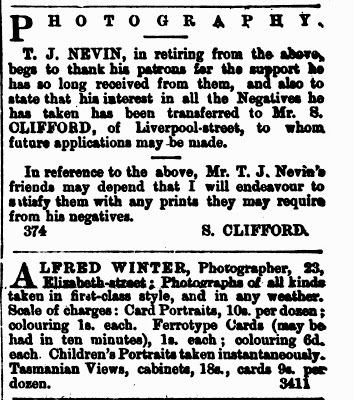 Even this date and attribution to Clifford for the 1873 photographs of Port Arthur has to be questioned, given that Clifford acquired the “interest” in Nevin’s commercial work and reprinted many of Nevin’s commercial negatives from 1876, once Nevin joined the civil service in the full-time position of Keeper of the Hobart City Corporation’s records at the Hobart Town Hall. Way bill: the cargo of photographic equipment, braid and bunting on board the government schooner the Harriet, to government stores at Port Arthur, 12 August 1873 (Mitchell Library NSW, Tasmanian Papers, Microfilm Ref: 320). 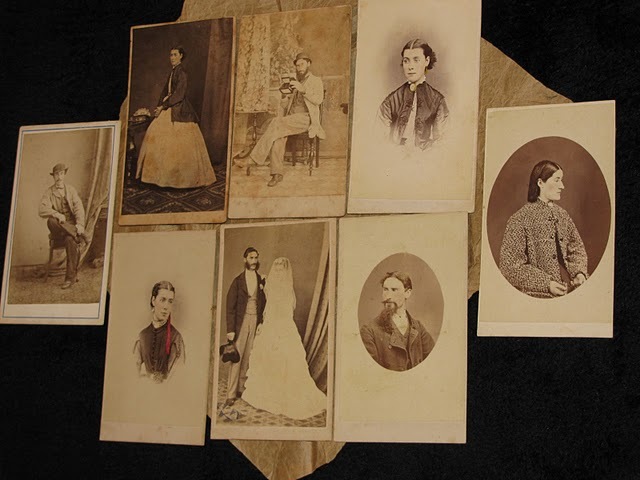 The photographic materials were accompanied on board by photographer Samuel Clifford and were used to provide intercolonial visitors and VIPS with souvenirs. Above: The Mercury, 17th January 1876. Thomas J. Nevin’s full-time appointment to the civil service at the Hobart Town Hall which housed the Municipal Police Office precluded further remuneration from commercial photography, hence the transfer of his “interest” as it is called here to Samuel Clifford. Alfred Winter’s advertisement appeared on the same date. 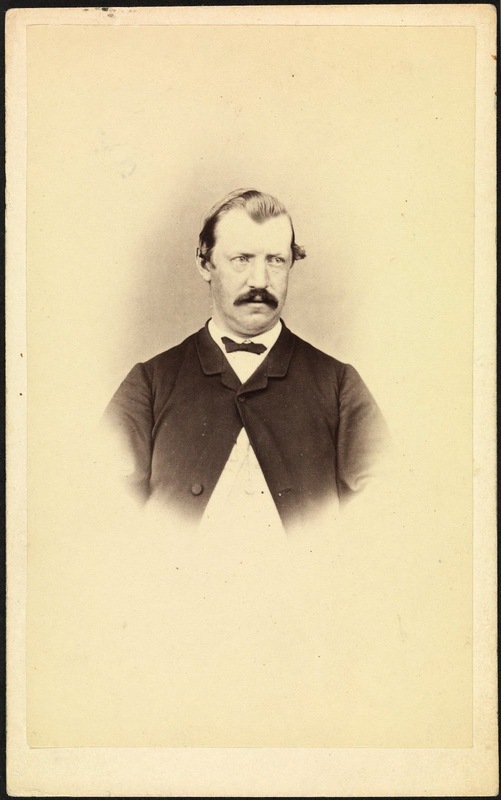 Nevin’s work with the Police Office included the provision of mugshots for the central registry of criminals, and his work at the Hobart Gaol was assisted by his younger brother Constable John (W. J.) Nevin. 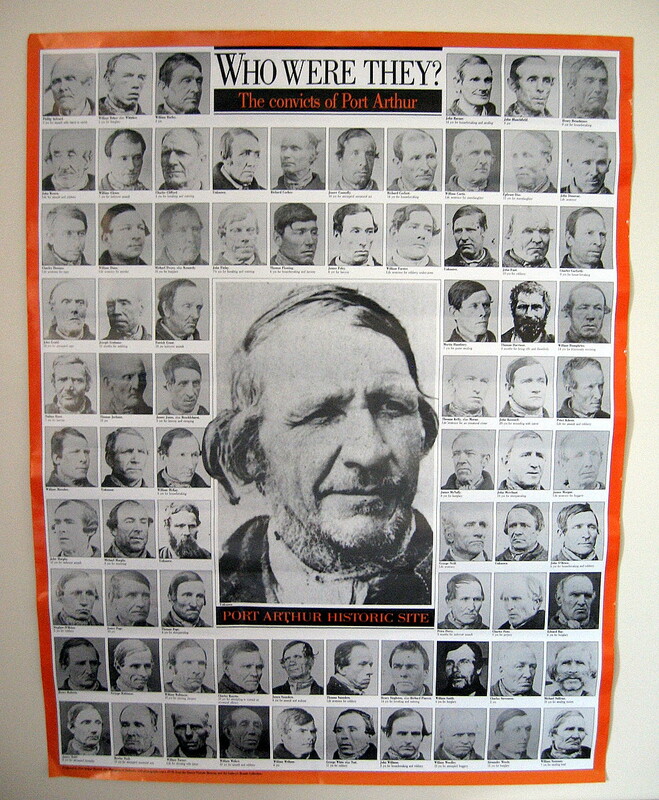 Not once has any researcher of these photographs of the so-called “Port Arthur convicts” reported the strategy of having searched in obvious places like the Government’s Appropriation and Supply Bills, which paid for Nevin’s contractual arrangements, and the reason is this: past researchers have been art-trained to look at these photographs through the prism of aesthetics rather than as vernacular government documents. None has contemplated the obvious: Nevin was a contractual prisons and police photographer, not a convict, and not an artist in the contemporary sense, but a civil servant, son of an Imperial soldier, member of the Wesleyan Church, the Odd Fellows’ Lodge and its cohort of civic leaders, brother of a salaried employee of H. M. Gaol, and obligated by his status and rank to work for the colonial regime when called on to do his duty. “RANK: Photographer” appears on his marriage certificate, July 12, 1871 and again on his death certificate, 1923. 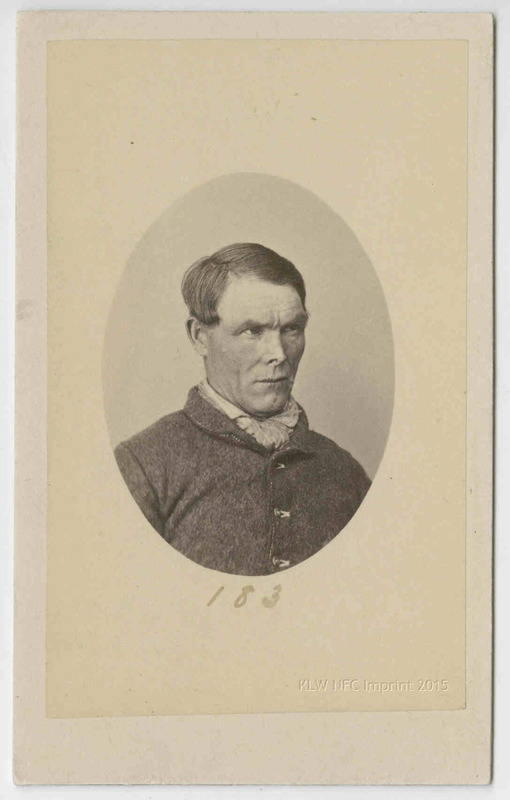 Thomas Nevin’s duty in the years between 1872 and 1886 was to provide a photographic record of convicted men, per judicial regulations recently enacted in NSW and Victoria. 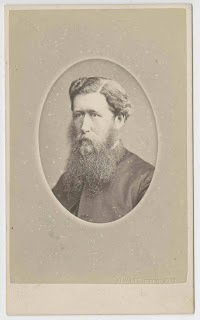 By early February 1872, soon after the visit to Port Arthur by the Tasmanian and Victorian Attorneys-General and other VIPS including Anthony Trollope, when Nevin provided photographs for the party on their trip to Adventure Bay, his services were enlisted as a commercial photographer for the police and prison authorities. 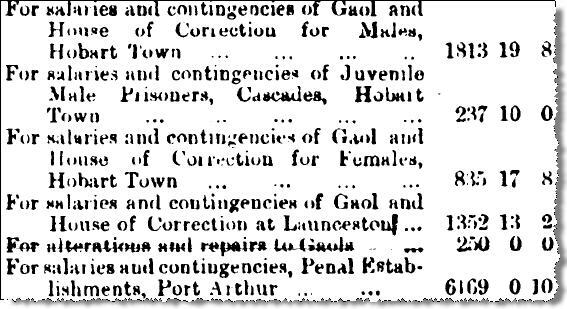 By July 1873, surgeon and parliamentarian Dr Crowther had called for the immediate abolition of the Port Arthur prison, and drew the Parliament’s attention to the anomaly of prisoners with light sentences being sent to Port Arthur from the Hobart Gaol. Men with more than one alias, men who were sent there to inflate prisoner numbers, mostly with sentences of less than six months to be imprisoned with hardened criminals, and men sent as labour to work the prison site: their numbers ensured the perpetuation of the prison site and its costly maintenance. Above all, it guaranteed the livelihood of its chief official, A. H. Boyd. 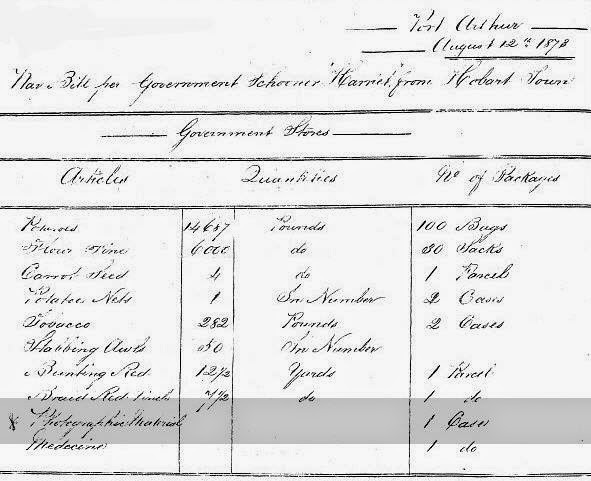 Appropriation (Supply) Bill, 26 July 1873, showing the huge allocation to Port Arthur relative to hospices, gaols, hospitals and railways. The allegations of nepotism and corruption made in the Tasmanian Parliament in July 1873 centred squarely on the Opposition Leader and member for Central Hobart, W.R. Giblin who had occupied the portfolio of Attorney-General in the previous government, and his brother-in-law, the Commandant of Port Arthur, Adolarious Humphrey Boyd. The underlying urgent purpose of a photographic record of prisoners was to monitor this racket until the Port Arthur site was abolished. Dr W.L. 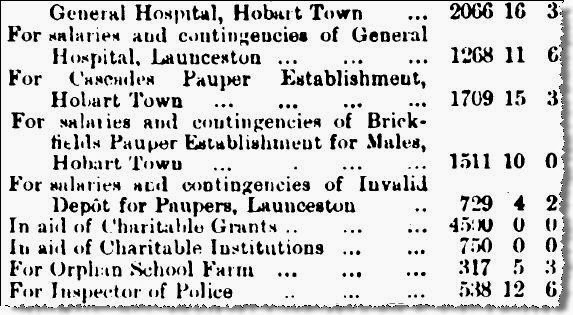 Crowther suggested the immediate transfer of all inmates to gaols and asylums in Hobart and Launceston. 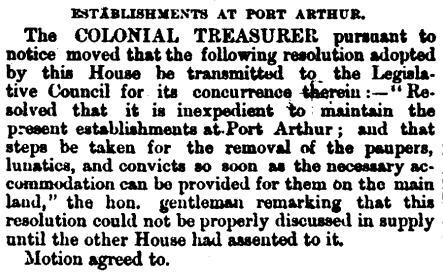 The original motion, The Mercury, 10 July 1873, which was defeated and would delay the closure of Port Arthur until 1877. By August, with the change of government, W.R. Giblin had become Attorney-General once again. 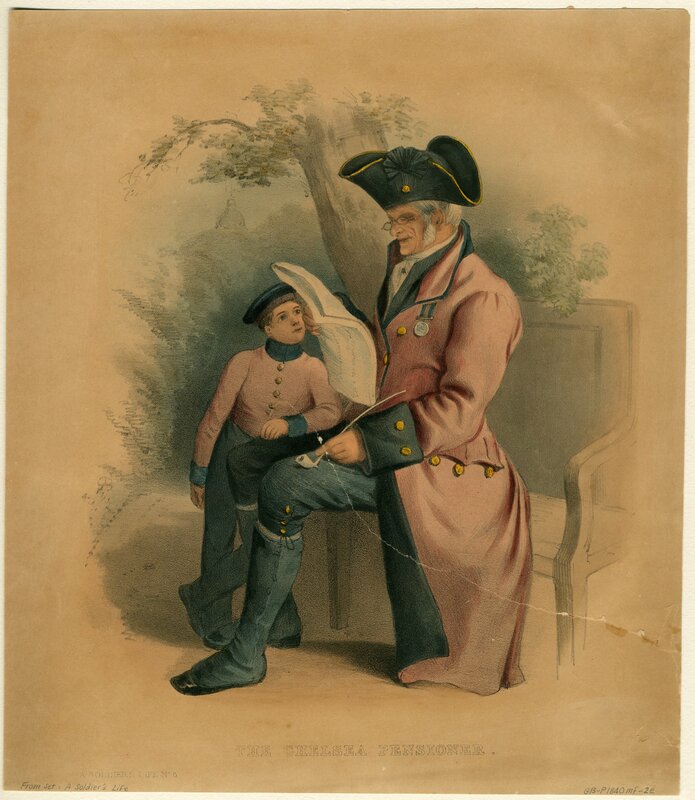 On August 6th, he notified his electorate of Central Hobart of his return. His brother-in-law Adolarious Humphrey Boyd, down there at the Port Arthur prison on the Tasman Peninsula, must have breathed a sigh of relief. His position was guaranteed again under the auspices of brother-in-law, Attorney-General Giblin. The Port Arthur site was not going to be abolished immediately, and Boyd would survive in the position. He did so only for a few months. Walch’s Tasmanian Almanac in December 1873 recorded that the Commandant’s position was already taken by Boyd’s replacement, Dr Coverdale. The Mercury, August 6, 1873.